Ferryglide – A maneuver used to cross a current with little or no downstream travel. Uses the current to move a boat laterally. Eddy – Place in the current where water flows around an obstacle, such as a rock, and then reverses course to fill in the space behind it. Offers a haven from the flowing current. Roll – Technique to right an overturned kayak or canoe without getting out of it. Carp – A failed roll in which the boater manages to get his lips above water to take a hasty breath. Chine – Transition area between the bottom and the side of the boat. Hard chines are angular; soft chines are rounded. Cockpit – The opening in the deck of a kayak where the paddler sits. Bearing – The direction you want to go to reach your destination. Heading – The direction your bow is pointing. Lee – An area protected from the wind; also the quarter or region toward which the wind blows. Portage – Derived from the French word for “carry.” A fancy name for carrying your boat around a difficult rapid or other obstacle. Hole (also, hydraulic, keeper) – A spot where water tumbles over an obstacle and reverses course upon itself. Can trap boats from continuing downstream. Beatdown – What sometimes happens to a boater caught in a hole. Boil- this is a water feature created when water churns upward and creates an elevated region in the river. In big water a boils can elevate and move kayaks several feet in random directions. Boil Line- this is the line that delineates the water going down stream from the water that is flowing back toward a hydraulic. The further downstream a boil line is from the hydraulic, the more hazardous the feature. Boof- a boof is a maneuver where a kayaker uses his paddle, rock or water feature to lift the bow of the kayak over a drop, usually performed to avoid a piton or getting stuck in a hydraulic. There are many reasons to perform a boof and this maneuver is the staple of advanced kayaking. Break Out- the act of leaving an eddy and entering the current. A paddler exits the eddy with an angle slightly toward the current, paddling until the boat is fully into the current then leans to the inside of the turn until the boat is pointed downstream. Class II: Novice. Straightforward rapids with wide, clear channels which are evident without scouting. Occasional maneuvering may be required, but rocks and medium- sized waves are easily missed by trained paddlers. Swimmers are seldom injured and group assistance, while helpful, is seldom needed. Rapids that are at the upper end of this difficulty range are designated “Class II+”. Class III: Intermediate. Rapids with moderate, irregular waves which may be difficult to avoid and which can swamp an open canoe. Complex maneuvers in fast current and good boat control in tight passages or around ledges are often required; large waves or strainers may be present but are easily avoided. Strong eddies and powerful current effects can be found, particularly on large-volume rivers. scouting is advisable for inexperienced parties. Injuries while swimming are rare; self-rescue is usually easy but group assistance may be required to avoid long swims. Rapids that are at the lower or upper end of this difficulty range are designated “Class III-” or “Class III+” respectively. Class IV: Advanced. Intense, powerful but predictable rapids requiring precise boat handling in turbulent water. Depending on the character of the river, it may feature large, unavoidable waves and holes or constricted passages demanding fast maneuvers under pressure. A fast, reliable eddy turn may be needed to initiate maneuvers, scout rapids, or rest. Rapids may require “must” moves above dangerous hazards. Scouting may be necessary the first time down. Risk of injury to swimmers is moderate to high, and water conditions may make self-rescue difficult. Group assistance for rescue is often essential but requires practiced skills. A strong eskimo roll is highly recommended. Rapids that are at the upper end of this difficulty range are designated “Class IV-” or “Class IV+” respectively. Class 5: Expert. Extremely long, obstructed, or very violent rapids which expose a paddler to added risk. Drops may contain large, unavoidable waves and holes or steep, congested chutes with complex, demanding routes. Rapids may continue for long distances between pools, demanding a high level of fitness. What eddies exist may be small, turbulent, or difficult to reach. At the high end of the scale, several of these factors may be combined. Scouting is recommended but may be difficult. Swims are dangerous, and rescue is often difficult even for experts. A very reliable eskimo roll, proper equipment, extensive experience, and practiced rescue skills are essential. Because of the large range of difficulty that exists beyond Class IV, Class 5 is an open-ended, multiple-level scale designated by class 5.0, 5.1, 5.2, etc… each of these levels is an order of magnitude more difficult than the last. Example: increasing difficulty from Class 5.0 to Class 5.1 is a similar order of magnitude as increasing from Class IV to Class 5.0. Class VI: Extreme and Exploratory. These runs have almost never been attempted and often exemplify the extremes of difficulty, unpredictability and danger. The consequences of errors are very severe and rescue may be impossible. For teams of experts only, at favorable water levels, after close personal inspection and taking all precautions. After a Class VI rapids has been run many times, its rating may be changed to an appropriate Class 5.x rating. www.playak.com a website for the global paddling community including articles, news, forums, reviews and buyers guides. 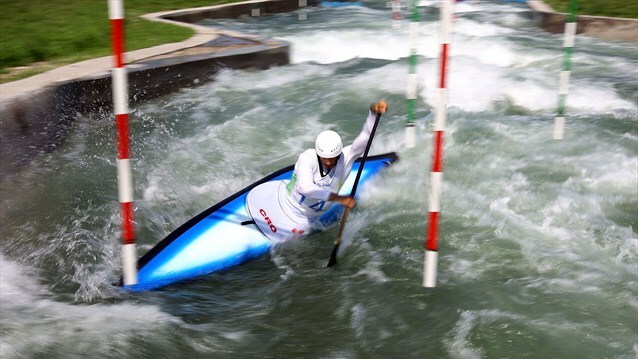 On 29 July the London 2012 Canoe Slalom competition gets underway, marking the sport’s 20th anniversary as a permanent fixture on the Olympic programme. 13,000 litres of water power down the canoe slalom course every second, enough to fill a 25m swimming pool every 30 seconds. 1.01 Kayak safely and competently on rivers up to and including Grade II rivers as a member of a group. 1.02 Be capable of negotiating obstacles likely to be encountered on Grade II rivers. 3.01 During an assessment a participant must explain and demonstrate all techniques and skills at a level higher than that required for the Level 2 Kayak Skills Award. All techniques, skills and rescues must be demonstrated to an assessor’s satisfaction in order to achieve this award. 3.02 No part of an assessment can be taken in a swimming pool. All assessment criteria must be demonstrated outdoors on water of Grade II difficulty as part of a river trip. 3.03 All strokes should be demonstrated in relevant situations i.e sculling in a small stopper. Strokes should be demonstrated on both sides of the kayak. 3.04 Generally, required assessment rescues will be kept until the end of an assessment. 3.05 Participants for this award must be at least 12 years of age. · The assessment can be carried out with a maximum of six candidates to one assessor, however, a ratio of 4:1 is preferable. · Generally guidelines will be given, should a candidate fail an assessment, as to the areas that they need to improve on. 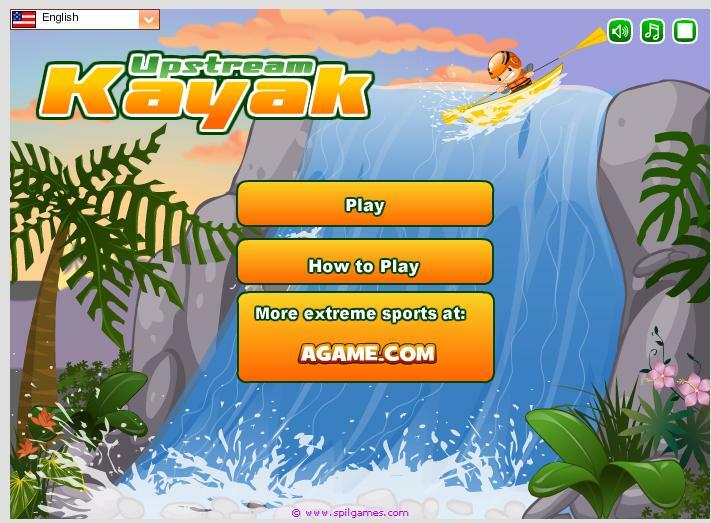 1.03 Develop further participation in canoeing. 2.02 An ability to Enter and Exit a kayak correctly. 3.01 During an assessment all techniques and skills must be demonstrated to an assessor’s satisfaction in order to achieve this award. 3.03 It may not be feasible for a junior or disabled person to assist fully in rescues – such candidates should, however, have a full understanding of the correct sequence of each of the required rescues and have some role to fulfil in the completion of these rescues. 3.07 No age restriction applies to this award. · The assessment will be carried out with a maximum of six candidates to one assessor. However, a ratio of 4:1 is preferable. · All required assessment rescues are kept until the end of an assessment. · You must always wear a buoyancy aid. · You must always ensure that there is adequate kayak buoyancy. · You must never canoe alone. The kayak must be sufficiently tilted for water to reach the spraydeck. A good push down with the elbows above paddle and associated knee lift and lower body rotation should be evident. You are currently browsing the laoiskayak blog archives for June, 2012.